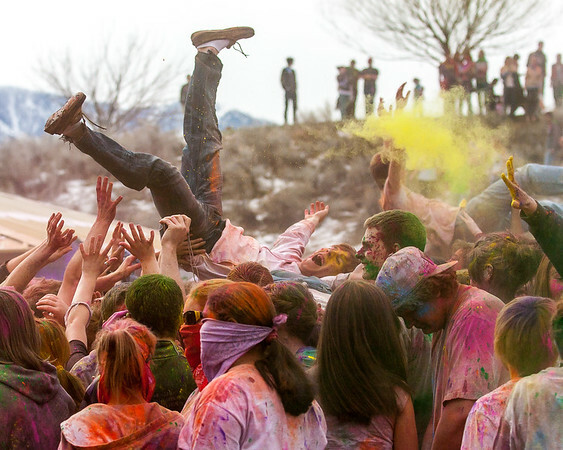 Images from annual Holi Festival of Colors celebrations in Spanish Fork, Utah, and Salt Lake City. 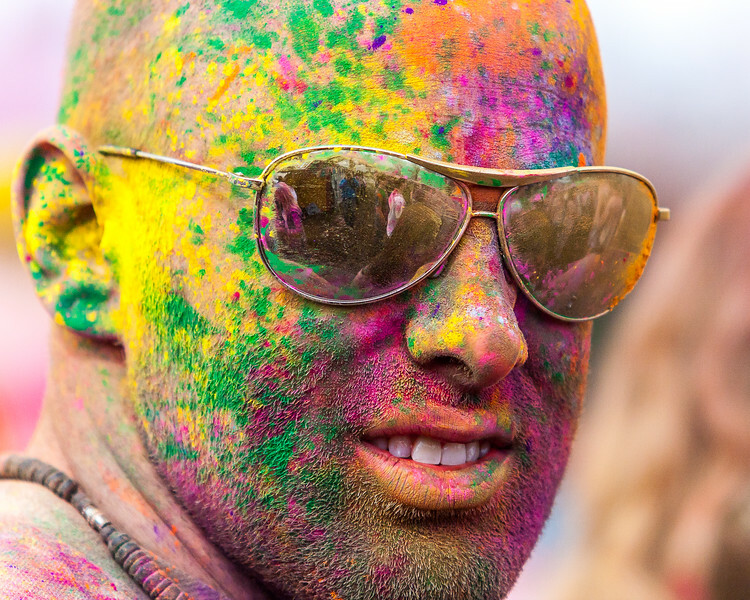 March 2011 marked my first visit to the annual Holi Festival of Colors down in Spanish Fork, Utah. 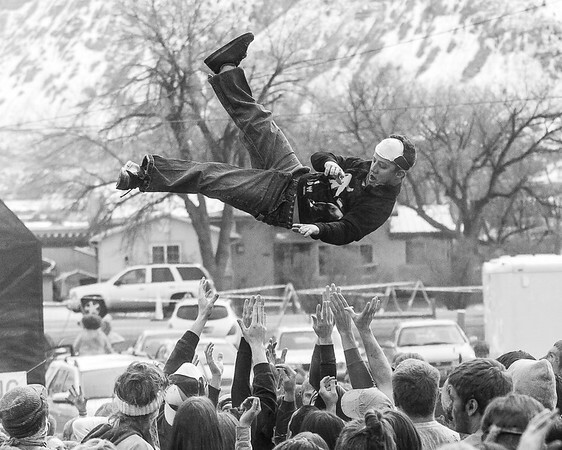 This shot captured the first throw I photographed that morning. 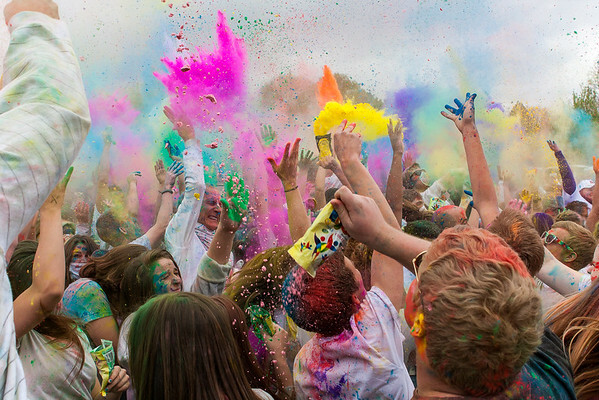 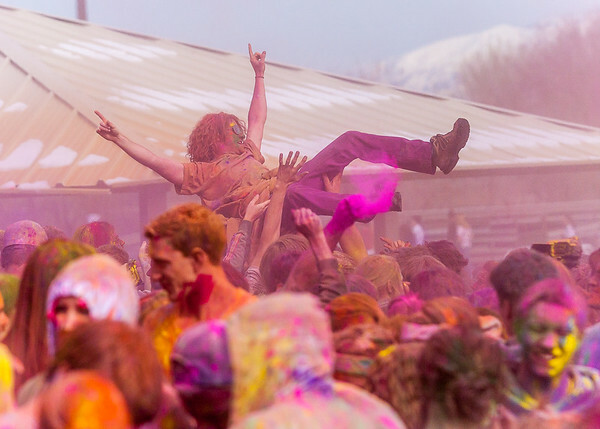 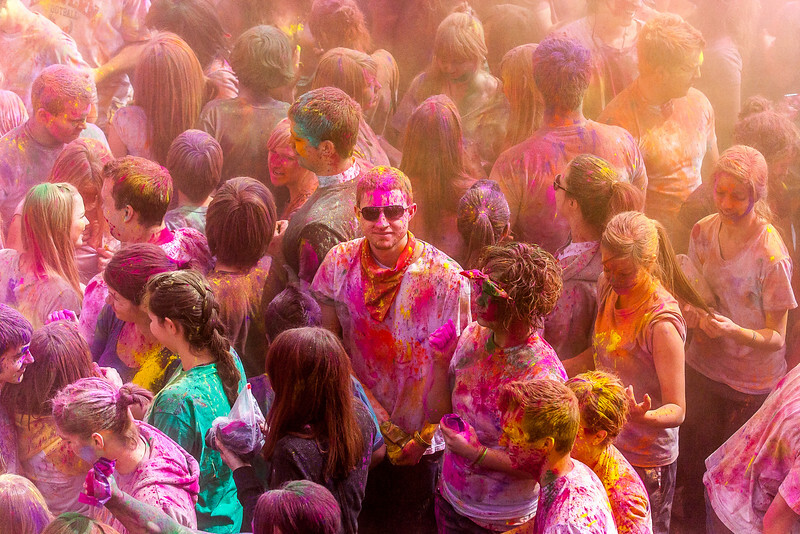 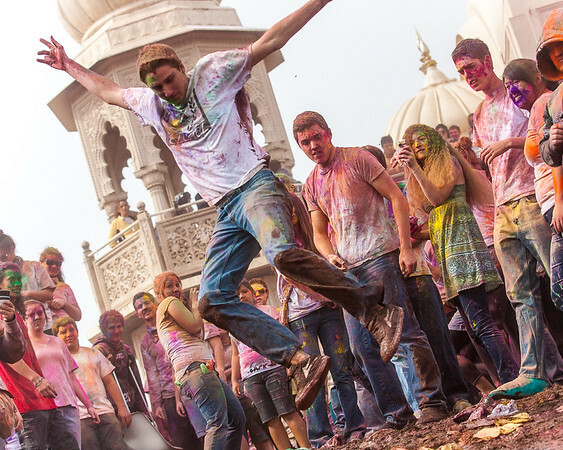 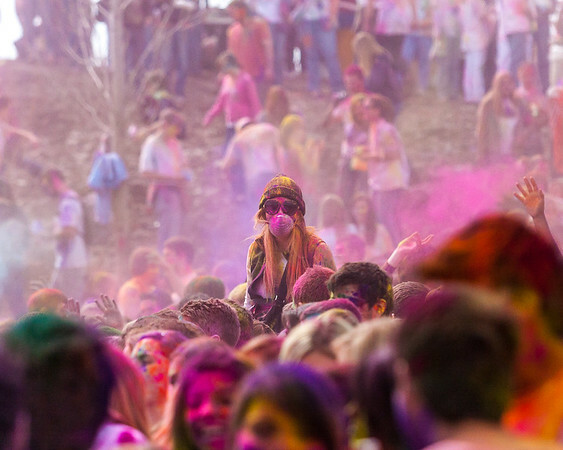 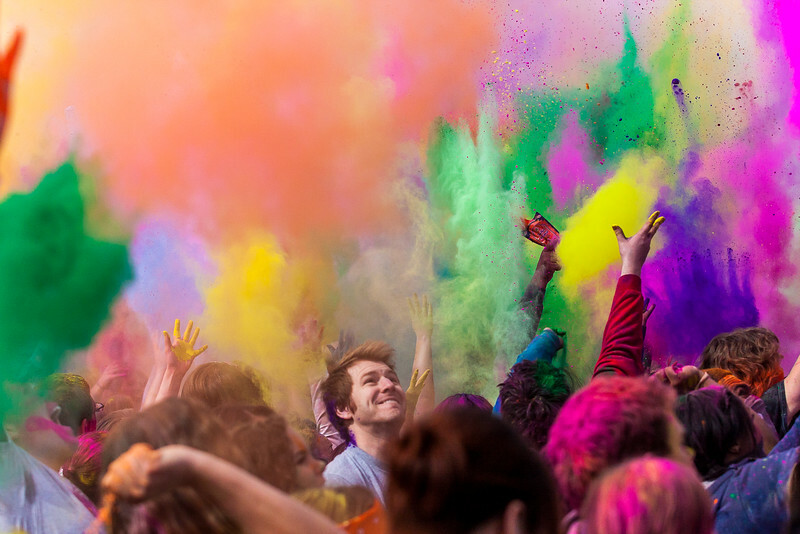 The first time I photographed the Holi Festival of Colors, down in Spanish Fork, Utah, I got the requisite images of people doused in colored chalk, tossing colors in the air, and crowd surfing. 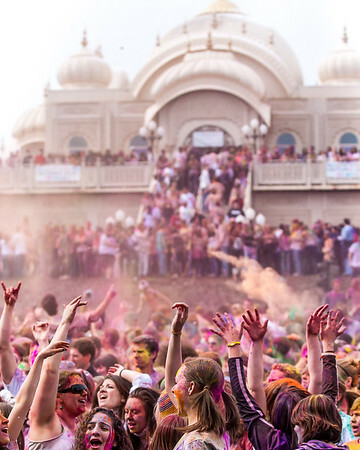 But I also happened to attend on a morning when the long expanse north of the Krishna Temple was covered in a thin layer of snow, which quickly turned the surface to mud once the festival got started. 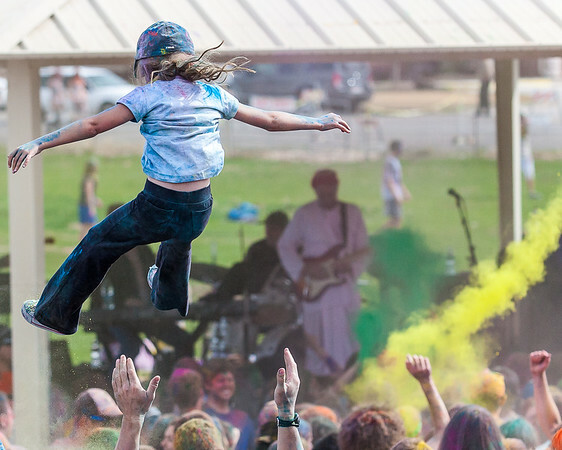 Just after the first throw of the morning, a group of kids started taking turns sliding down the hill in the mud, which gave me something a bit more unique to shoot. 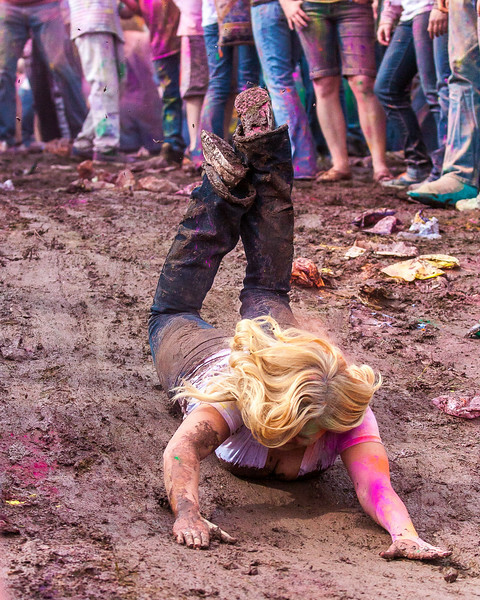 This girl in particular, with a mane of blond hair that offered a striking contrast to her muddy surroundings, must have taken about a dozen turns on the slide just on her own. 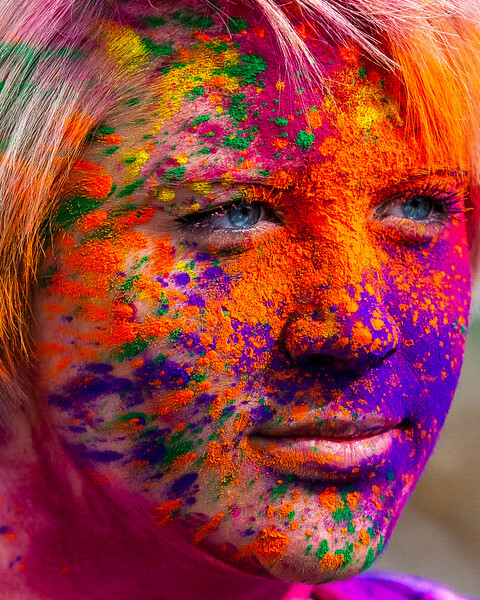 Funny enough, I got this incredibly colorful candid portrait of a young woman at the 2011 Holi Festival of Colors while she was posing for another photographer. 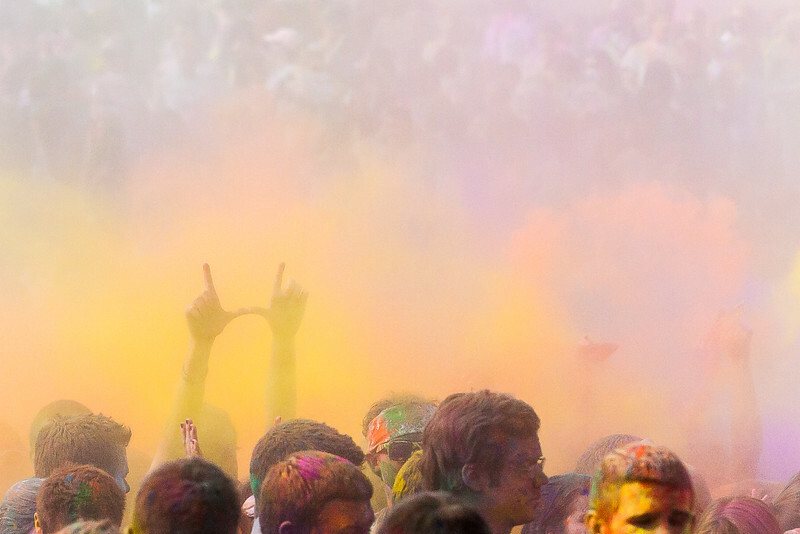 A part of me wonders how shot by the guy in the "occupy" t-shirt turned out. 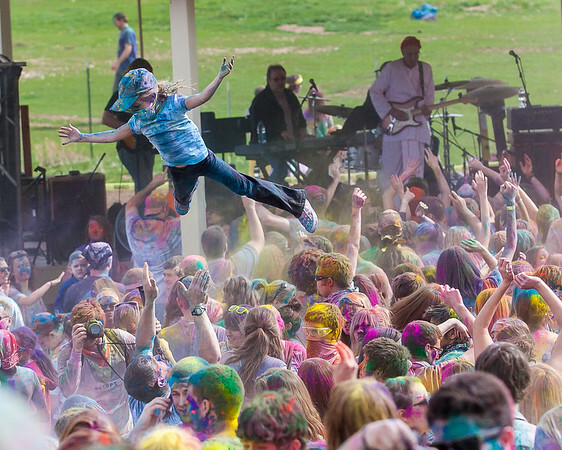 I'm guessing the dad would be happy to see a different angle of his (hopefully) overjoyed kid sailing in the air above the crowd at the 2012 Holi Festival of Colors in Spanish Fork, Utah.